LONDON: 1 JUNE 2015 - ECR Minerals plc is pleased to announce the appointment of William John Selwood Howell as a director of ECR and as Non-Executive Chairman of the board of directors (the “Board”) with effect from 31 May 2015. Paul Johnson, the previous Non-Executive Chairman of the Board, has stepped down as a director of ECR with effect from today’s date. William (Bill) Howell (aged 70) is a geologist with 48 years of experience in the minerals industry. Bill holds British and Australian nationality and is currently based in Vietnam. He graduated from Southampton University, UK with an honours degree in geology in 1966. Bill is a Fellow of both the Australasian Institute of Mining & Metallurgy (AusIMM) and the Society of Economic Geologists, and is a Competent/Qualified Person for JORC Code and NI43-101 reporting purposes. He is listed as a Senior Associate Geologist with UK-based geological and mining consultancy ACA Howe International Ltd.
Bill has served as a director of several public companies, including as Exploration Director of Triple Plate Junction plc (now named Aurasian Minerals plc), a company admitted to trading on AIM, until 2011, having co-founded that company in 2003. From 2009 to 2012 Bill was also a director of Asian Mineral Resources Ltd, which is quoted on the TSX Venture Exchange, and held the role of Non-Executive Chairman during that company’s reorganisation in 2012. Asian Mineral Resources commenced production at the Ban Phuc nickel sulphide mine in Vietnam in 2013. In his career to date Bill has specialised mainly in the countries of South East Asia and the Pacific, including, from 1995 to 2003, as Managing Director and Regional Exploration Manager South East Asia for Normandy Mining Ltd and later Newmont Mining Corporation following its takeover of Normandy. He was employed by the Broken Hill Proprietary Company Ltd (BHP) from 1967-81, including as Superintendent Geologist South East Asia from 1975-81, and was responsible for opening and managing BHP’s first mineral exploration offices in Papua New Guinea (1968), in East Malaysia (1973) and in the Philippines (1976). 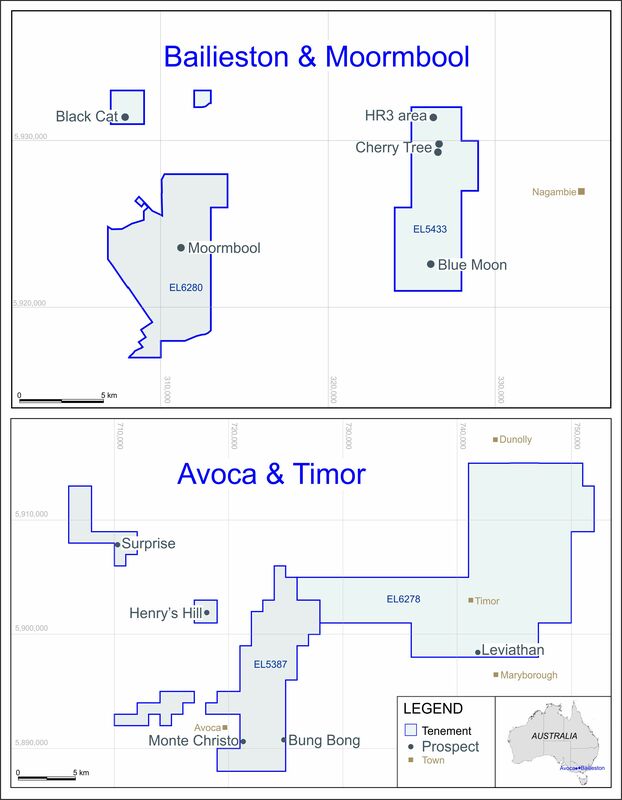 In these roles Bill led teams through the exploration to feasibility stages of a number of gold and copper-gold discoveries, four of which are now significant operating mines in Papua New Guinea, Indonesia and Laos. Bill currently heads the Mining Working Group of the Vietnam Business Forum established by the World Bank, and has previously provided contributions on mineral policy to the Chinese and Philippine governments, the Pacific Basin Economic Council and the Ian Clunies Ross Foundation in Australia. “Since my appointment as a director of ECR in May 2012 and as Non-Executive Chairman in January 2013 the Company has undergone considerable change. This process of change has been undertaken against a backdrop of severely deteriorating sentiment in the mineral sector. The survival and development of ECR over this period required greater focus, strategic discipline and operating efficiency. The restructured business is now focused on two gold exploration assets which the Board consider to be promising, one in Argentina and the other in the Philippines, with an overarching drive to become a gold producer and/or position ECR as a compelling takeover target. There is still work to be done to achieve this, but a key part of doing so is to make sure the Company is led by a Board with the right balance of skills. In this respect there is a need to add a geological capability to the Board and to ensure that the chairman has the time available to commit to the next phase of the Company’s development. Pursuant to Rule 17, Schedule Two (g) of the AIM Rules, the following information is disclosed in respect of Mr Howell. There is no other information regarding Mr Howell required to be disclosed under the AIM Rules.